HEMA Supplies is proud to be the exclusive North American distributor for the highly sought after Chlebowski Swords. 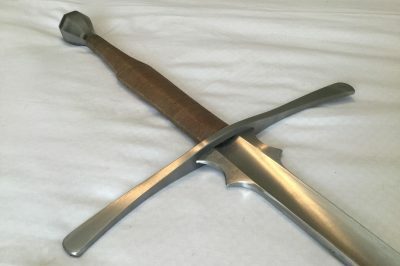 The famed Szymon Chlebowski swords are forged, hardened, (50 Rockwell Hardness Scale) and tempered with careful attention to precision detail by Mr. Chlebowski who is himself a veteran longsword fencer and one HEMA’s top competitors. 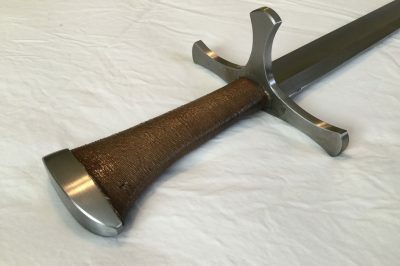 The Chlebowski Standard Feder come with a high-polish finish and utilize a unique “peened cross” method of construction to ensure the cross-guard doesn’t loosen or rattle. 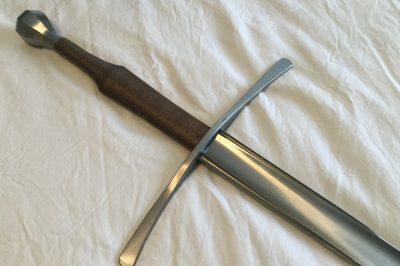 They also have a rarely seen “finished peen” on the pommel where the pommel and tang are smoothly integrated to present a beautiful and comfortable finish. All of this is brought together with a sealed fine cord wrap over the slim and waisted grip adored by so many. Truly, a connoisseur’s training tool! Chlebowski Feder are proudly made by hand in Poland using spring steel and come with a one year warranty for critical failures under normal usage.